If you’re a fan of meteor showers, August is going to be an exciting month! The Perseid meteor shower is the best of the year, and in 2018, the peak viewing time for the shower is on a dark, moonless night—perfect for spotting meteors. The best time to look for meteors during this year’s Perseid shower is at the peak, from 4 p.m. EDT on Aug. 12 until 4 a.m. EDT on the Aug. 13. Because the new Moon falls on the peak night, the days before and after the peak will also provide very dark skies for viewing meteors. On the days surrounding the peak, the best time to view the showers is from a few hours after twilight until dawn. Meteors come from leftover comet particles and bits from broken asteroids. When comets come around the Sun, they leave a dusty trail behind them. Every year Earth passes through these debris trails, which allows the bits to collide with our atmosphere and disintegrate to create fiery and colorful streaks in the sky—called meteors. The comet that creates the Perseid meteor shower—a comet called Swift-Tuttle—has a very wide trail of cometary dust. It’s so wide that it takes Earth more than three weeks to plow all the way through. Because of this wide trail, the Perseids have a longer peak viewing window than many other meteor showers throughout the year. In fact, this year you should be able to see some meteors from July 17 to Aug. 24. The rates of meteors will increase during the weeks before Aug. 12 and decrease after Aug. 13. Observers should be able to see between 60 and 70 meteors per hour at the shower’s peak. The Perseids appear to radiate from the constellation Perseus, which is where we get the name for this shower. Perseus is visible in the northern sky soon after sunset this time of year. Observers in mid-northern latitudes will have the best views. 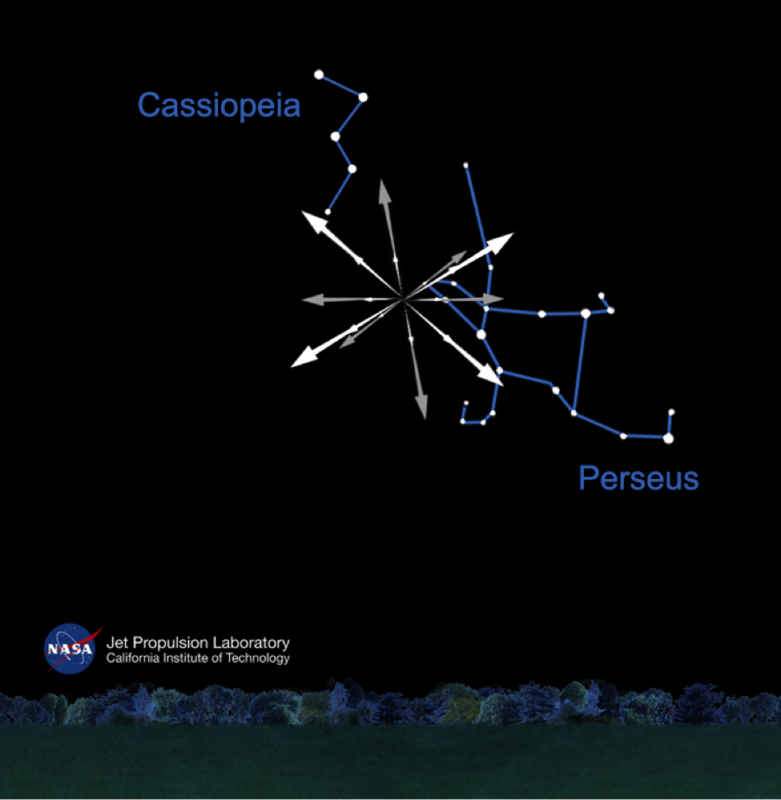 However, you don’t have to look directly at the constellation Perseus to see meteors. You can look anywhere you want to; 90 degrees left or right of Perseus, or even directly overhead, are all good choices. While you’re watching the sky for meteors this month, you’ll also see a parade of the planets Venus, Mars, Jupiter and Saturn—and the Milky Way also continues to grace the evening sky. In next month’s article, we’ll take a late summer stroll through the Milky Way. No telescope or binoculars required! This article is distributed by NASA Space Place. With articles, activities and games NASA Space Place encourages everyone to get excited about science and technology. 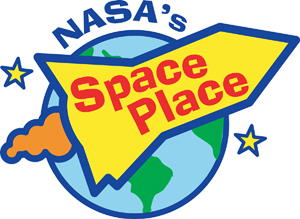 Visit spaceplace.nasa.gov to explore space and Earth science! This entry was posted in NASA Space Place on July 27, 2018 by wpadmin.